Two of my storytime favorites, one newly discovered and the other I’ve known for a while. The old…Big books. I know they are just bigger versions of regular books, but I love to use them in storytimes! The new favorite…storytime bear. A couple weeks ago I borrowed Rico’s teddybear for a storytime about being sick. The kids put felt band-aids on the bear to make him feel better. 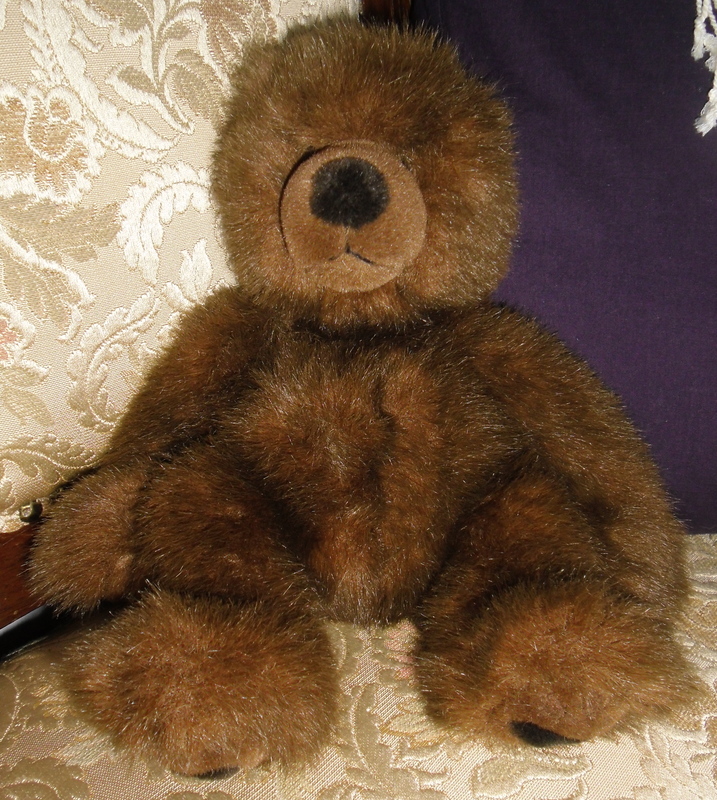 Turns out…I really like having a stuffed animal storytime sidekick. In acknowledgement of these two favorites storytime elements, this week I had a bear themed storytime featuring two excellent big books! Thanks to Storytime Katie (one of my favorite storytime blogs) for the rhymes. As I said go to sleep I would make Storytime Bear lay down with his hands over his eyes. Then I would have the kids yell, “Wake Up Bear!” The kids really enjoyed this and we did the rhyme several times. We ended up reading this book twice at my younger storytime. At the storytime with older kids, I didn’t even have to read the story…they read it to me! The storytime for the older kids had a couple different books and an extra rhyme. This rhyme went exceedingly well with “Bear in the Air. If you’re happy and you know it give a growl!